This summer I have been inspired by some very beautiful Spanish houses that I have been featuring here on The Style Files. This week we stay in Spain as I have more gorgeous homes that I would like to show you. 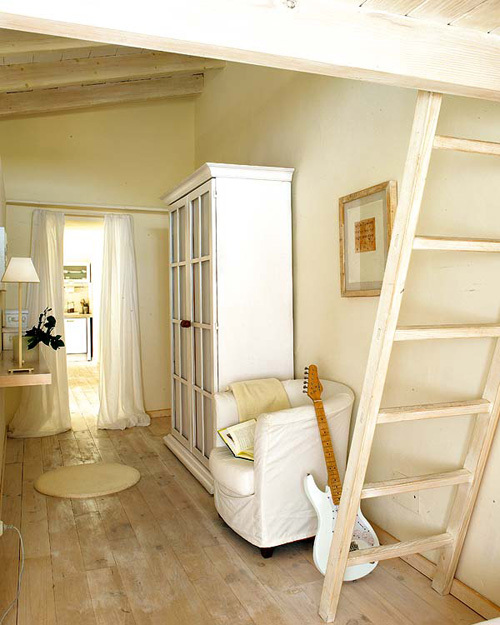 Next week though we will ‘travel’ up North where I will take you inside some Scandinavian (summer) houses. 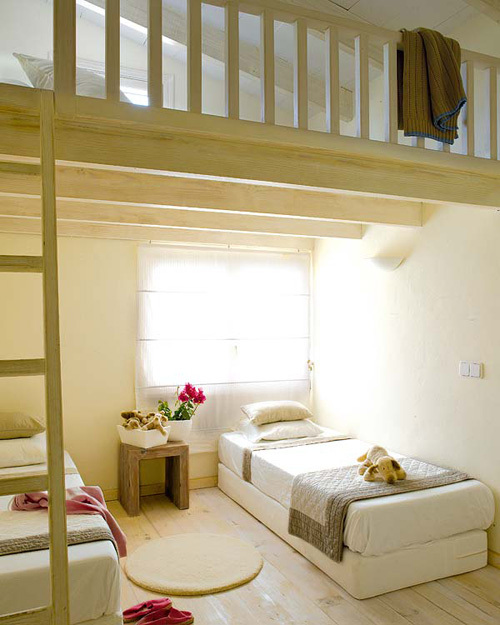 This farmhouse on the island of Mallorca, Spain, has been completely renovated. An annex was added to the house where now the living room is situated. This room has breathtaking views of the garden. The rattan ottomans in the garden (top image) are from IKEA. 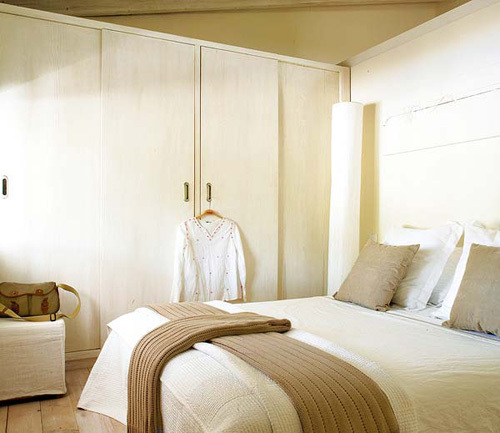 Various shades of white have been used to decorate the house. Above the kids bedroom: sheets, blankets and cushions are from Zara Home. The rug is from IKEA. The porch (which was added during the renovation) serves as a summer dining room. 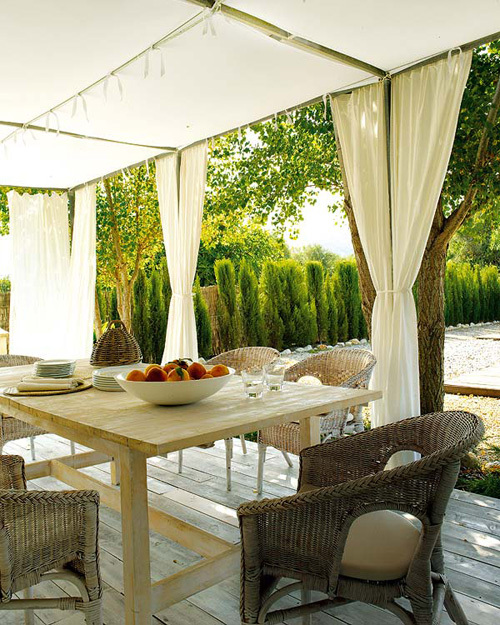 The pergola with curtains, provides some shaded during day time. The dining room table and chairs are from IKEA. The porch looks lovely! The living room and bedrooms looks very warm and welcoming. WOW! I absolutely love this house, especially the outdoor space. The lounge room is stunning. I love the cut out in the wall with the cushions and the exposed beams on the roof. I also love the attic section in the kids room. Very clever use of space. The theme is perfect for what I imagine to be a perfect Spanish summer house. I enjoy travelling with you on these “trips” that you take us on! Thanks Danielle, love your blog(s) !